London Musical Theatre Orchestra are proud to announce the full cast of the 2018 production of their spectacular concert version of A Christmas Carol adapted by Alan Menken, Lynn Ahrens and Mike Ockrent from the original story by Charles Dickens. The concert returns to The Lyceum Theatre for a third year following overwhelming popular demand on 10th and 17th December after last year’s five-star sell out performances. 2018 also marks celebration of the 175th anniversary of the publication of Charles Dickens’ A Christmas Carol. 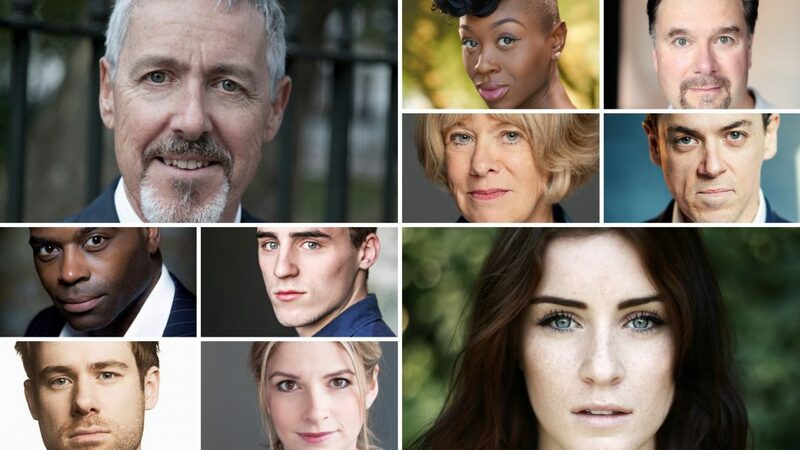 Joining Griff Rhys Jones as Ebenezer Scrooge, will be Lucie Jones as Emily / The Ghost of Christmas Future, Rosemary Ashe as Mrs Fezziwig, Nicolas Colicos as Mr Fezziwig, David Hunter as Bob Cratchit, Miriam-Teak Lee as The Ghost of Christmas Past, Cedric Neal as The Ghost of Christmas Present, Jeremy Secomb as Marley, Caroline Sheen as Mrs Cratchit and Jon Tarcy as Fred Anderson. A Christmas Carol, will be performed at 7.30pm on Monday 10th December and Monday 17th December, with a matinee performance at 4pm on Monday 17th December. The performance of A Christmas Carol by London Musical Theatre Orchestra at 7.30pm on Monday 10th December will be in aide of The King’s College Hospital Trust Haematology Campaign to mark the launch of a major fund-raising campaign to build a new Haematology Centre for research and clinical treatment at King’s College, London.